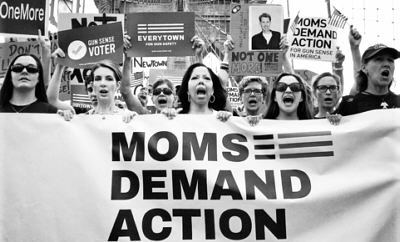 Moms Demand Action: Teaching Gun Safety to Children is "Atrocious"
Safety to Children is "Atrocious"
Firearms in the United States are a fact of life. Even by the most conservative estimates, throw a rock in a crowded room and you’ve got a 50/50 chance of hitting someone who owns a firearm. Given the fact that a large portion of the American population own or are exposed to firearms on a regular basis, good common sense would dictate that we should be teaching children to safely handle and respect guns. Again, just common sense. At least it is for everyone except the champions of “Common Sense,” Moms Demand Action (a wholly owned subsidiary of Mayors Against Illegal Guns, i.e. Michael Bloomberg). In their book, teaching kids gun safety is “atrocious” . . .
Too many cases occur of children getting their hands on a gun, with potentially dangerous or fatal results. First, probably a gun owner has been irresponsible, but second and most important is that the majority of kids have had no sensible instruction on firearms and so are ignorant of safety. It is total folly to regard teaching kids gun safety as "attrocious".